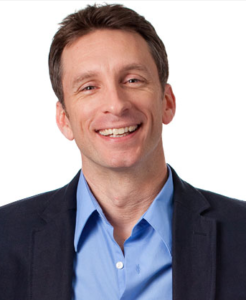 Mike Michalowicz is the author of Profit First, Surge, The Pumpkin Plan, and his newest release Clockwork. By his 35th birthday, Mike had founded and sold two companies – one to private equity and another to a Fortune 500. Today he is running his third multi-million dollar venture, Profit First Professionals. Mike is a former small business columnist for The Wall Street Journal and the former business makeover specialist on MSNBC. Over the years, Mike has traveled the globe speaking with thousands of entrepreneurs, and is here today to share the best of what he has learned. Please join me in welcoming Mike Michalowicz. Mike’s habit that has led to success is being fit and exercising. Exercising helps your physical and mental health and gives you strength and persistence. It’s a good foundation. Mike also works out and meditates every morning. Being a workaholic is not sustainable. Personal health correlates to fiscal health. Mike used to figure his profits by the usual equation. He realized this equation is logical but not behavioral. When we put something last (profit), it becomes insignificant to us. Mike rewrote the formula, so he would prioritize profits. People throw their money and time at apparent things. 1) Small Plates – The best way to portion control and eat less is to use smaller plates. If you put these perimeters around your behavior, it’ll change it. Make different accounts for your profit. 1. Income Account – Money only goes in. 2. Profit – The reward to shareholders. 4. Tax – Reserve the money for tax liabilities. 5. Operating Expenses – Run your business with this money. 2) Removing Temptation – If you put all your money in front of you, it’ll be tempting to use. Transfer your money to a secondary account so you can’t get it. 3) The Sequence Which We Consume – When we receive money, allocate it to profit first, then to owner’s compensation, then to tax, and finally operating expense. This sequence gives us reward, reward, protect, and serve. 4) Rhythm – Allocate your money twice a monthon set dates. If it comes into the income account before the allocation dates, wait until those dates and then allocate it or use it. Every 90 days, take money out of the profit account to reward self. Businesses that are successful, start slowly. Get people on board with a new plan by talking about what has worked and what really hasn’t worked. Once you get the system going, get accountability from people outside the business. To make progress, start with small steps. Set up a savings account called “Profit” today at your existing bank. Then, allocate 1% of profit to this account. Slowly grow into putting all of the profit into it. Share with us how you believe your mindset affects your life? Mindset is everything. Nothing is more driving then being consistent with how we identify ourselves to be. What do you do daily to bring Energy into your life? He drinks coffee and takes short walks. Share the number one connection that has made the biggest impact on your life? Frank, his business coach, taught him perennial truths. What advice has Influenced you the most in your life? “I’m not the consumer. The consumer always knows the answer. Be careful of the experts and the gurus of the world exposing what they belive to be true, but that’s their belief. The people who speak most truth to our businesses are those who open their wallets. Define in one sentence or less, what legacy you want to leave on the world? He wants to eradicate entrepreneurial poverty. People think that entrepreneurs do nothing and are super rich, but they actually work very hard and aren’t the most financially stable.